NEW YORK (AP) — Conservatives and liberals not only have different political views, they diverge sharply on what news sources they rely upon and trust, a survey has found. Liberals favor CNN, MSNBC, National Public Radio and The New York Times, but none of those sources more dramatically than another. Conservatives have an overwhelming favorite: Fox News Channel, according to a study of media habits released Tuesday by the Pew Research Center. Conservatives are more likely to distrust news sources that don’t reflect their point of view, the study said. Conservatives tend to have more friends who share their political views, and are more likely to read material on Facebook that reinforces their opinions. Liberals are more likely to “defriend” someone on Facebook or end a real friendship because of political differences, Pew said. “One of the things that was striking was the degree of the differences and the consistency across all the different information environments,” said Amy Mitchell, Pew’s director of journalism research. Pew conducted its survey in March and April with 2,901 web respondents, recruited from a nationally representative sample. Pew used a series of question to gauge a participant’s political leanings and asked respondents their views on 36 different media sources, from the Times to Buzzfeed. Asked about their main source for news on government and politics, 47 percent of the respondents who were judged most conservative cited Fox News. No other organization was close: 11 percent of this group chose local radio. A majority of conservatives said they distrusted fully two-thirds of the news sources they were asked about. Besides Fox, the only organizations the conservatives trusted were the Wall Street Journal, The Blaze, Breitbart, the Drudge Report and radio shows hosted by Rush Limbaugh, Sean Hannity and Glenn Beck. Four others were equally trusted or distrusted. Liberals said they trusted 28 of the 36 sources cited. CNN was named as the main political source for 15 percent of the liberals, followed by 13 percent for NPR, 12 percent for MSNBC and 10 percent for The New York Times. The Wall Street Journal was the only organization trusted by majorities of both strong liberal and conservatives, with Buzzfeed the only organization distrusted by both groups, Pew said. Despite the differences, Mitchell said the survey found that “it’s really impossible to live in a true silo.” Dissenting opinions seep through online, in conversations or media consumption. 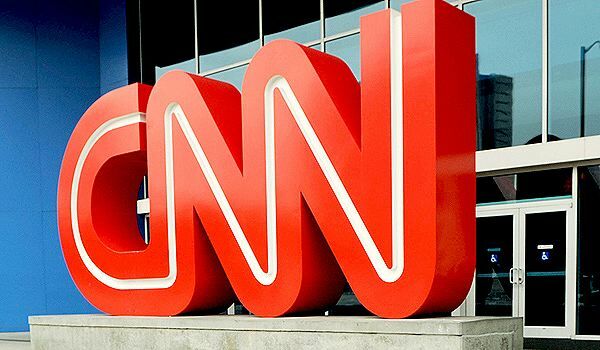 Among people judged as true moderates, CNN was listed as the main news source by 20 percent, with local TV next at 16 percent. Follow David Bauder at twitter.com/dbauder. His work can be found at http://bigstory.ap.org/content/david-bauder.